-- and I'm not sure about this -- the garbage truck fills up more quickly. 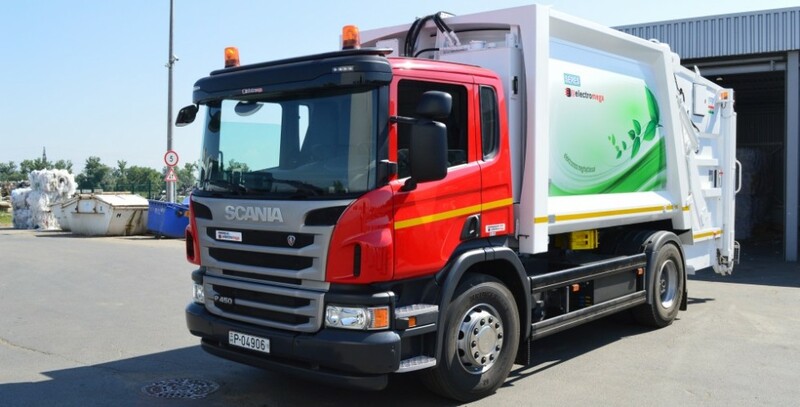 Therefore I want to know whether a garbage truck (such as the one depicted below) can exert pressure or has some other means that can crush an empty but closed plastic bottle. Secondarily, I want to know how much pressure force is required to crush an empty but closed 1.5l plastic bottle. If you Google for garbage truck compactor specifications you find similar numbers: 170 bar, Main system pressure: 2500 psi = 17 MPa. So, there really is no need to screw the caps from the bottles. *(The original source is dead).